For permanent installations, MasterWeld 941 Rubber Flooring Installation Adhesive (glue) is available in by the gallon for installation with a trowel. This adhesive is a one-component polyurethane-based, structural, industrial grade adhesive. Elastomeric properties enable it to move with rubber as it expands and contracts. The patented formula is VOC compliant, non-flammable, and contains no solvents or water. It has freeze-thaw stability (unlimited cycles). The adhesive provides excellent initial grab and outstanding bond strength. It is formulated for indoor and outdoor applications on concrete, asphalt, rubber, cork, plywood, particle or chip board, cement, gypsum underlayment, and over radiant heat flooring. When lightly misted with water, drying time is accelerated and will fully bond in just over 2 hours. 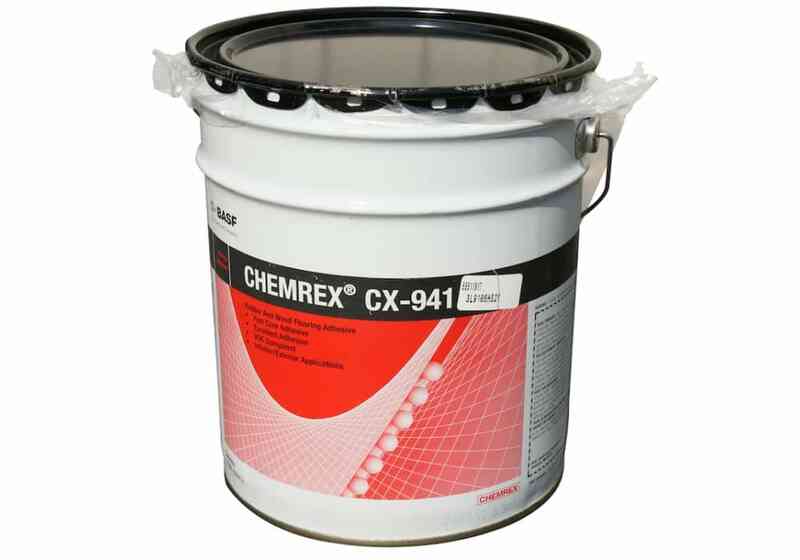 MasterWeld 941 Polyurethane Adhesive - Trowel grade. Color: Dries to a tan color, therefore DO NOT APPLY TO TOP SURFACE. Covers approx. 80-90 square feet per gallon (use 3/16"x1/4"x1/4" trowel).